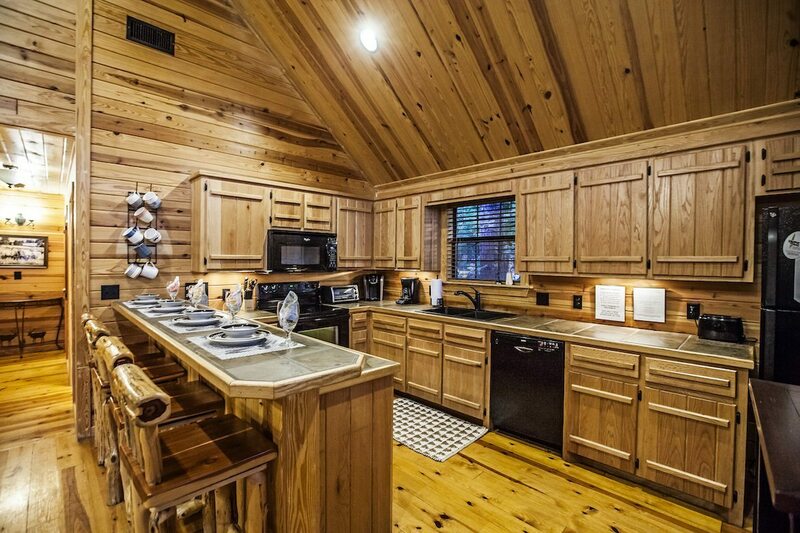 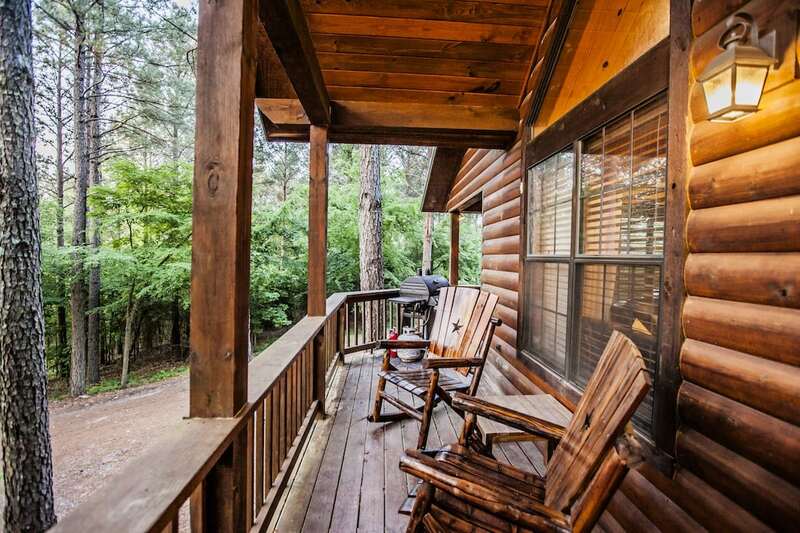 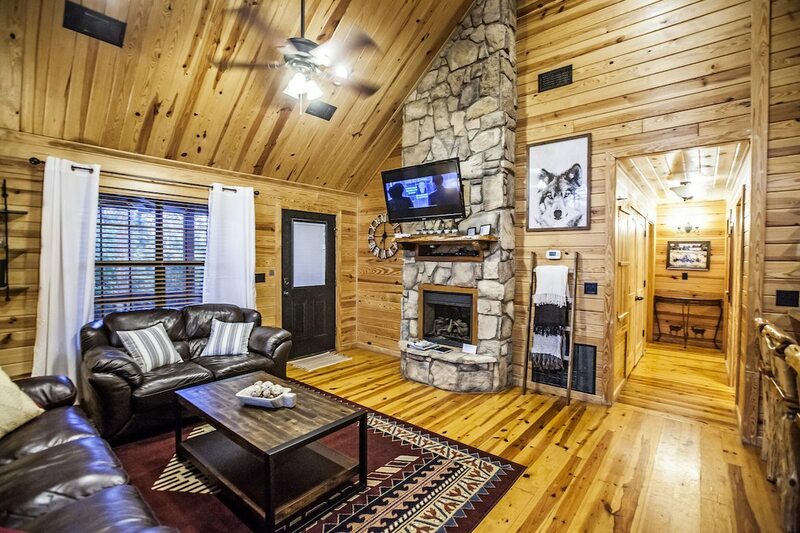 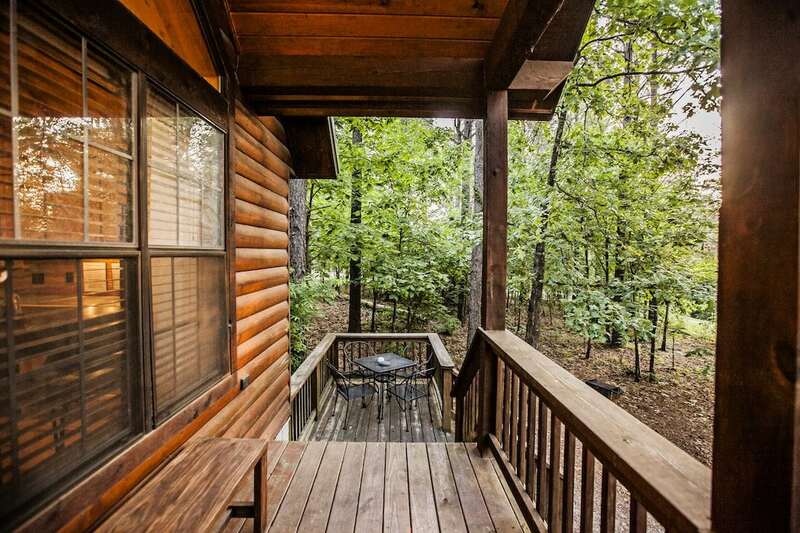 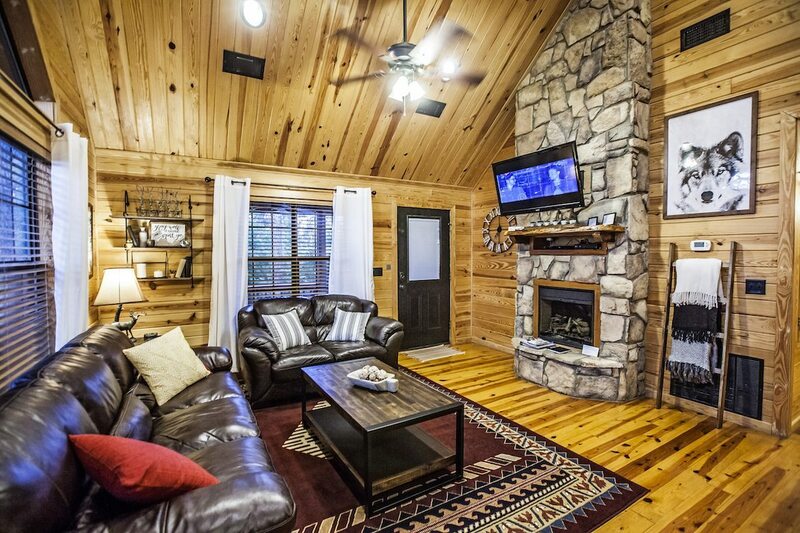 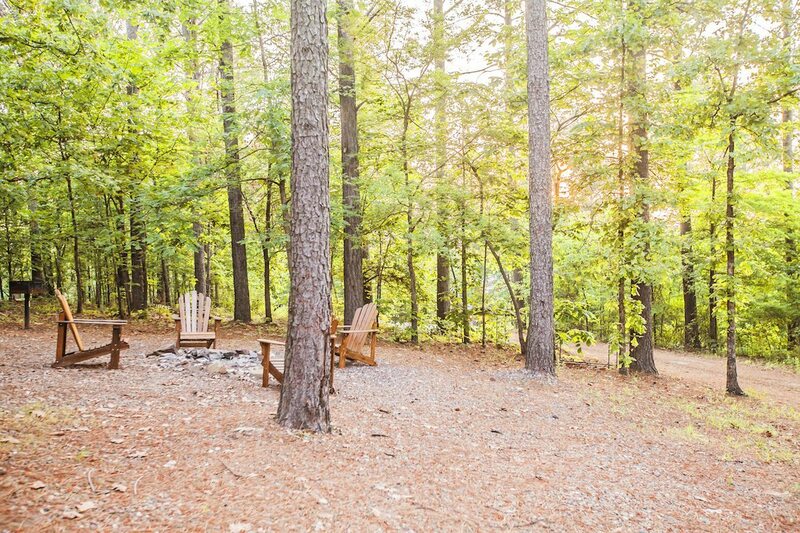 Gray Wolf Lodge, Broken Bow Cabins, is a luxury cabin with a magnificent view. 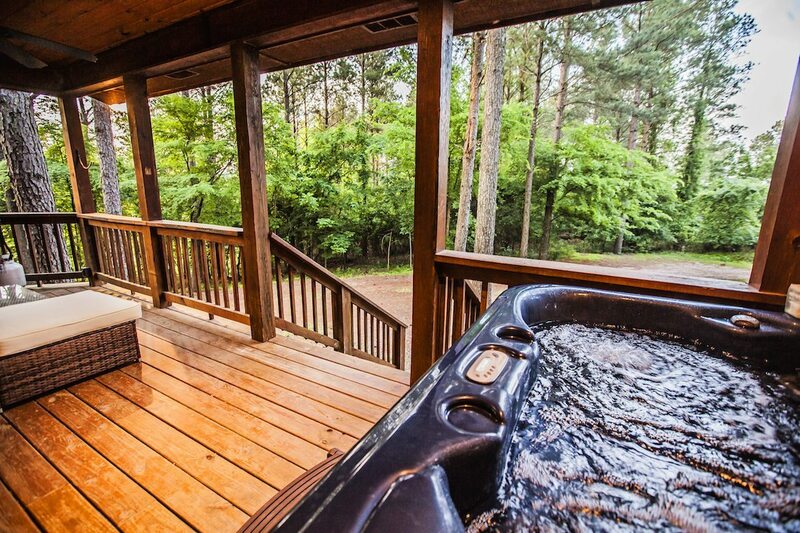 Located on the top of the hills in Timber Creek Trails, the view from the hot tub extends for miles over-looking the ridges and valleys of the adjacent foothills. 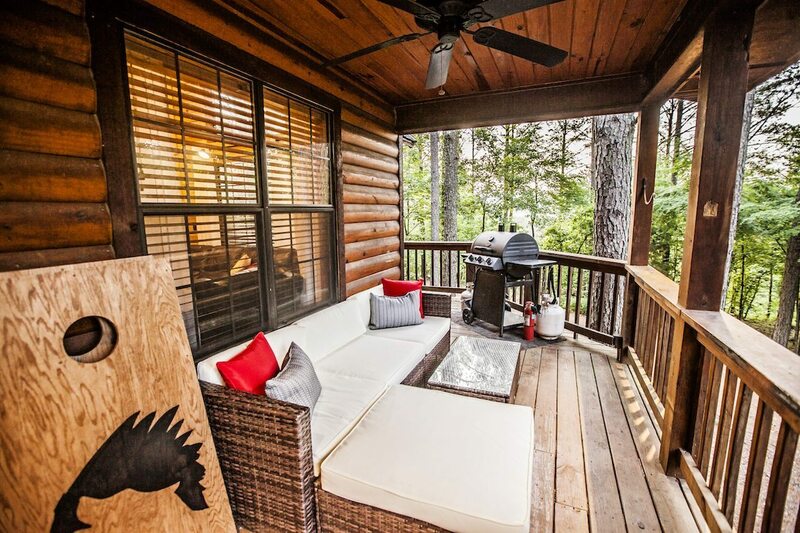 The tall pines and soft mountain breeze makes Gray Wolf Lodge an ideal place to slow down and relax. 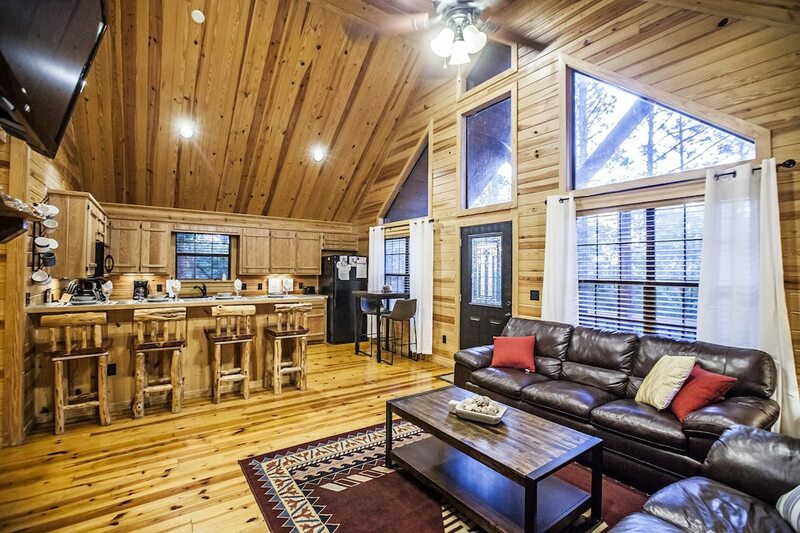 This gorgeous cabin is a top notch. 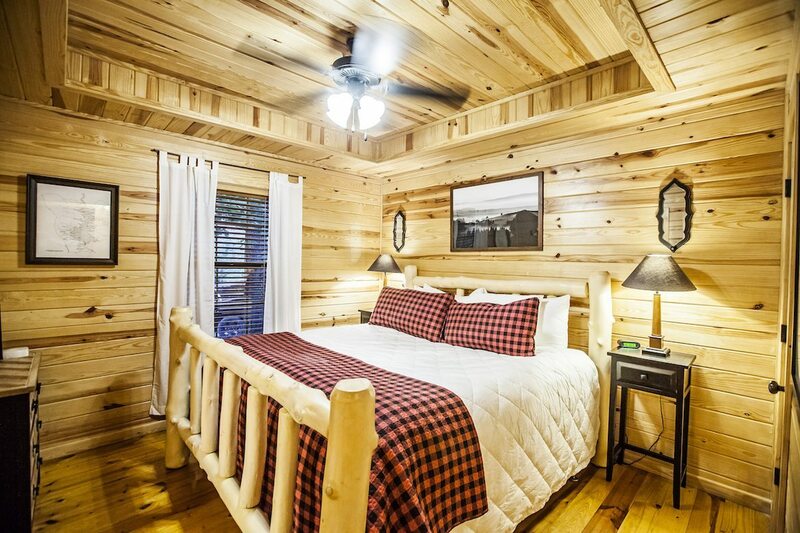 Designed to sleep 4 comfortably but is roomy enough to add an air mattress for kids or additional guests. 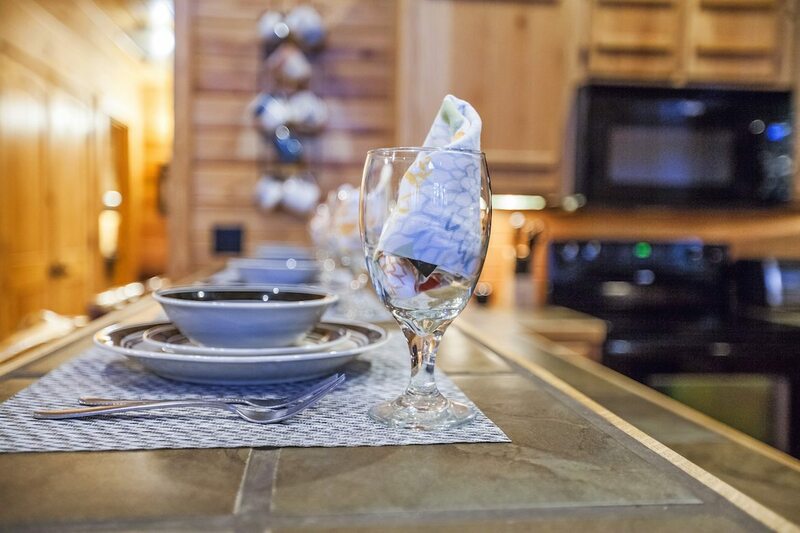 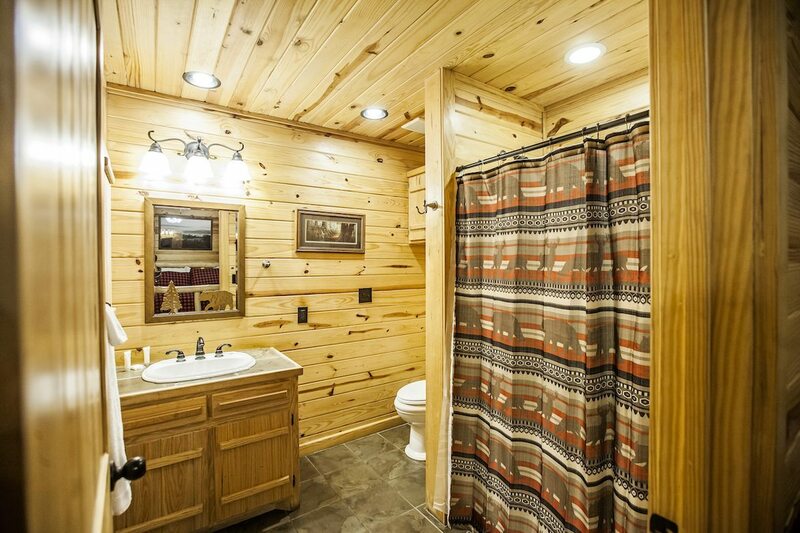 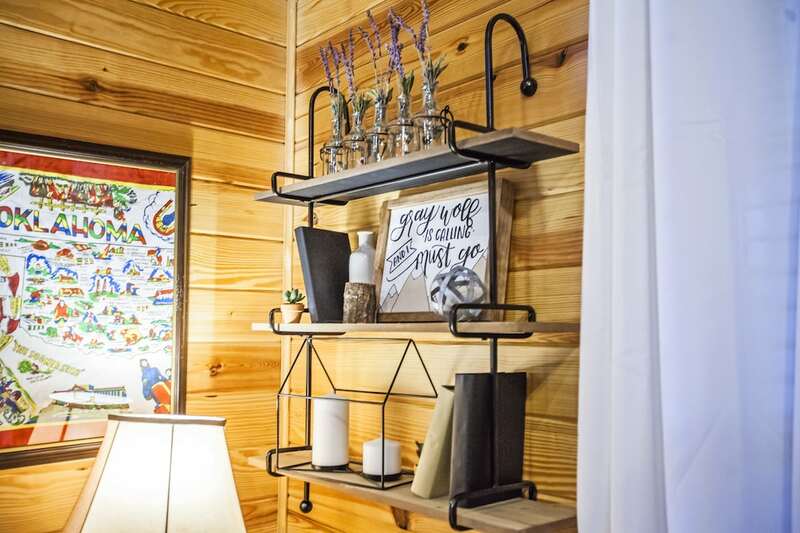 The cabin features 2 bedrooms, 2 bathrooms, hot tub, fully complemented kitchen, 40-inch LCD TV and a laundry area with washer & dryer. 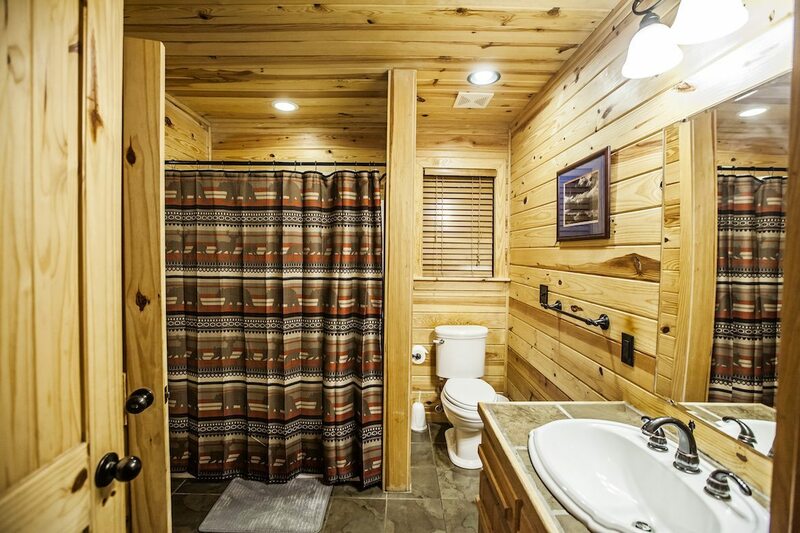 The master bedroom has a king size Aspen Log bed with private bath. 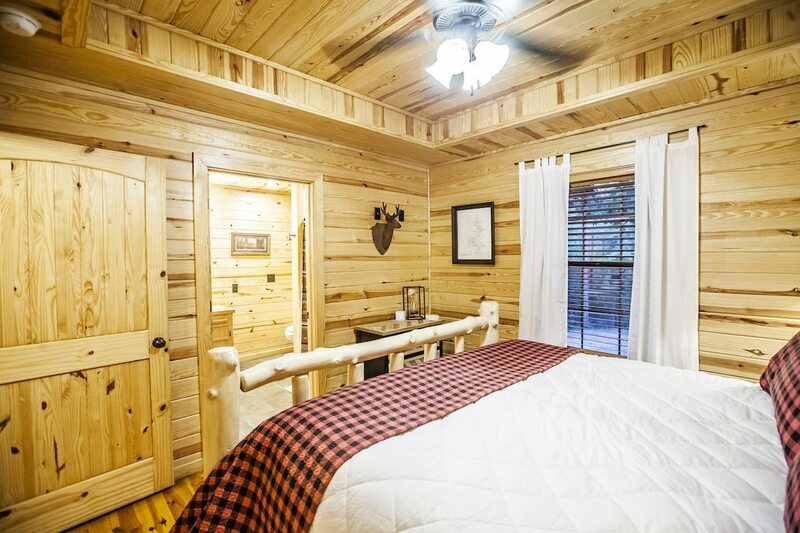 The second bedroom includes a queen size bed with a private access to the second bathroom. 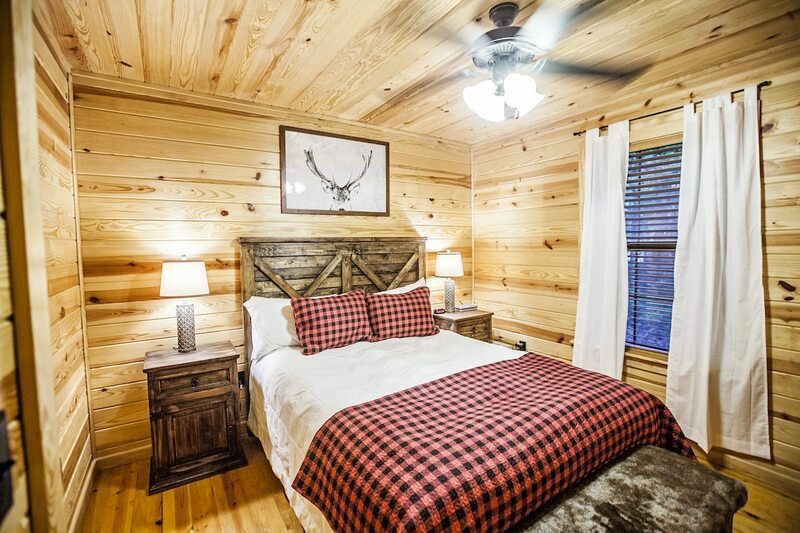 Each bedroom is comfortably furnished and decorated to fit the forest environment. 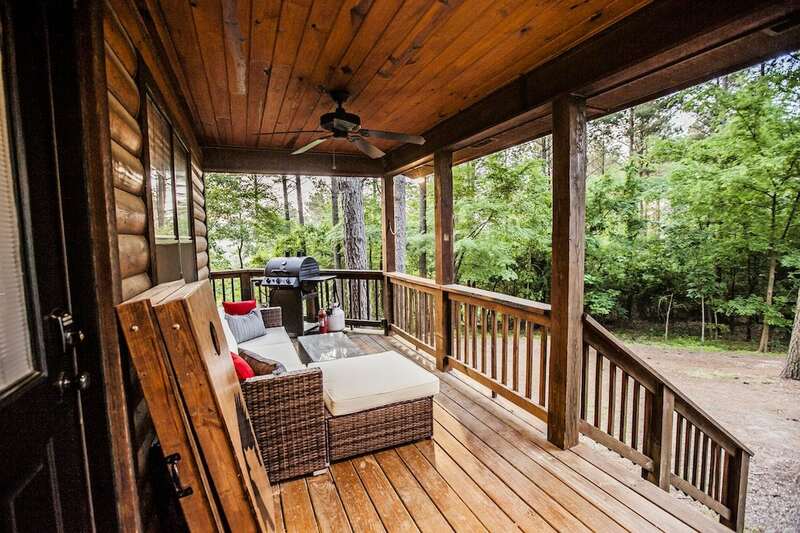 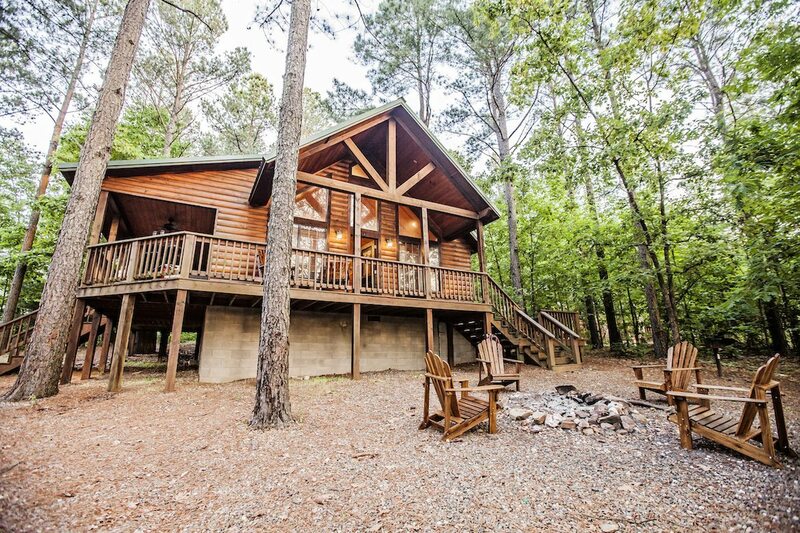 We invite you to come and enjoy one of the finest vacation properties in the Broken Bow Lake and Beavers Bend area.